AN AER LINGUS cabin crew member blamed going out drinking the night before for turning up for duty drunk at 4.20pm the following day. The airline sacked the “devastated and embarrassed” female crew member for gross misconduct after she turned up for work three times over the company alcohol limit. The worker sued for unfair dismissal but the Labour Court has upheld the decision to sack the worker. In the case, the cabin crew member crewed an early evening Amsterdam bound flight from Dublin Airport on 24 September 2016. On touching down at Amsterdam, a senior cabin crew colleague noticed that the worker “appeared disorientated and distracted” and reported her concerns to the captain. The captain then consulted HQ in Dublin and a decision was made to stand the worker down from duty and she returned to Dublin as a passenger. As part of Aer Lingus’s intoxicant policy, on arriving back at Dublin, the worker was brought to Shamrock House where she was breathalysed for alcohol. The result of the first breathalyser test was 30ug/100ml of breath and the result of the second was 28ug/100ml of breath. The maximum permitted under the Company’s Intoxicant Policy is 9ug/100ml of breath. The airline then mounted an investigation and disciplinary proceedings. The day after the airline staged a disciplinary hearing in October 2016, the worker wrote an email to the chair of the hearing. “I can only blame myself for the outcome of the breathalyser and am devastated and embarrassed by this. In my defence, I did what a lot of people do by going out the evening before. I was naive. I truly thought I was okay, as I was not due into work until 4.20 pm. On 23 November 2016, the company wrote to the worker to confirm that she was being summarily dismissed for gross misconduct. The worker’s internal appeal failed and the airline stated a lesser sanction than dismissal “would not be appropriate, having regard to the breakdown of trust and confidence that resulted from the complainant’s intoxicated state on 24 September 2016 while performing a safety critical role”. In its determination, the Labour Court found that Aer Lingus appropriately applied its intoxication policy in all the circumstances. The Labour Court stated that the worker clearly understood that she was employed in a safety critical role. The Labour Court found that the dismissal was not unfair in any respect and that her claim for unfair dismissal is not well founded. Email “Sacked Aer Lingus worker blamed drinking the night before for showing up over the company limit at 4.20pm”. 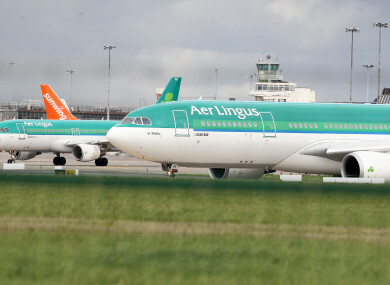 Feedback on “Sacked Aer Lingus worker blamed drinking the night before for showing up over the company limit at 4.20pm”.